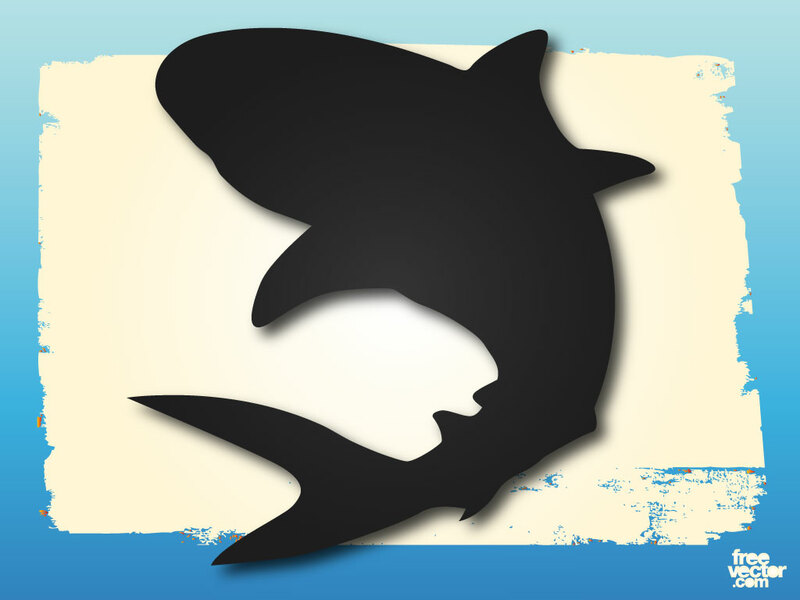 Download this shark silhouette set on a cream and blue background. Shark is set in black with a drop shadow. Perfect for your ocean, sea, wildlife, surf and tropical designs. Zip file contains AI, PDF and JPEG file formats. Tags: Danger, Fin, Ocean, Predator, Sea, Shark, Swimming, Underwater.